The item will be delivered in the UK (mainland) for free. Some places in the UK and other European Countries might require a surcharge for delivery - please contact us for a quote or if in doubt. 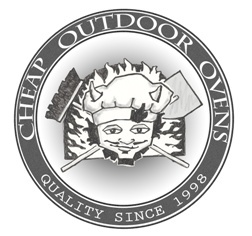 Please note that in the case of products like the ovens, due to the weight involved (between 500Kg & 650 Kg), the item will be offloaded on your driveway/entrance and then you will need to place it exactly where you want to on your property. The majority of items will be delivered on a boxed wooden pallet, this is to ensure that your order arrives in perfect condition. The delivery driver will not be able to carry the item up or down steps, through a property, wheel the pallet across a gravel driveway or up particularly steep driveways. Unfortunately the delivery company will be unable to remove items from the pallet or take the pallet away with them. 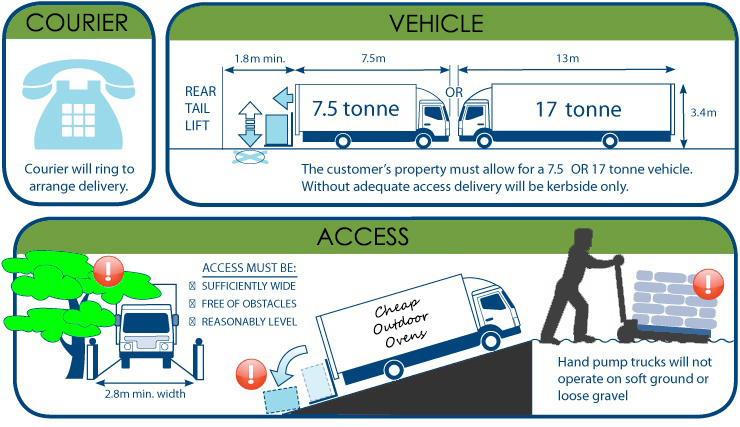 The driver will normally only be able to wheel the pallet as far as physically possible which may even be the kerbside depending on what sort of access is available at your property. On pallet deliveries please assume the delivery will be made on a long heavy goods vehicle, please contact us or tell the delivery company when they contact you to arrange delivery if there are weight, height or parking restrictions or difficult access points before your order arrives so that we/they can make alternative arrangements, failure to do so may result in a failed delivery and re-delivery charge. Also note, because these are custom made to order, the delivery time is around 2 weeks. In some cases it might be slightly more (or less) but we will keep you informed with regular updates. Depending on what was ordered, some of your items might arrive before others. If this is an issue, please let us know.